Prominent & Leading Manufacturer from Mumbai, we offer green silk holi color, blue silk holi color, pink silk holi color, red silk holi color, orange silk holi color and yellow silk holi color. 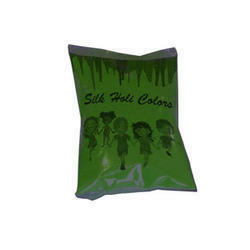 Catering to the variegated requirements of our clients, we offer an extensive array of Green Silk Holi Color. The given product is widely appreciated for their skin friendly and non-toxic nature. These are made under the supervision of our talented personnel by employing advanced technology and top quality ingredients. We test our products on various quality parameters before delivery to make sure they are made in compliance with the industrial norms. Further, clients can get these at industry leading price. Packaging type 70 gms, 100 gms, 500 gms, 01 kg, 05 kg, 10 kg, 25 kg. 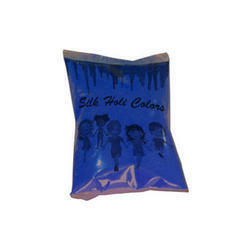 With our expertise and immense knowledge in the field; we are providing n extensive assortment of Blue Silk Holi Color. The offered product is highly appreciated in the market due to its skin friendly nature, smooth texture, and non-toxic properties. The given colors are quality tested on various predefined parameters to make sure they are in tune with the industry laid guidelines. Moreover, customers can get these at market leading price. With the aid of our skilled and talented professionals, our firm is actively involved in offering the best quality range of Pink Silk Holi Color. The given product is composed with utmost precision and care by making use of top-notch ingredients and innovative technology under the strict vigilance of talented team members. We provided these in various shades and packaging options. Besides, customers can get these at nominal rates. To meet divergent demands of the clients in an efficient manner, we bring forth a unique range of Red Silk Holi Color. The offered product is eco-friendly in nature and is extremely safe to use. These colors are composed by utilizing best quality material procured from the reliable vendors and sophisticated technology under the supervision of skilled personnel. Our products are quality tested before delivery to meet the industrial standards. 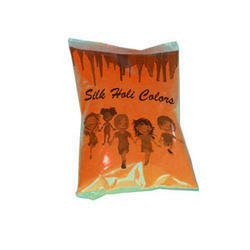 We are one of the leading manufacturers & exporters of Orange Silk Holi Color. 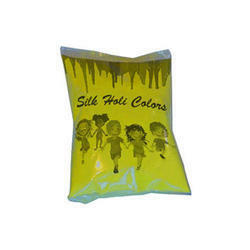 We are one of the leading manufacturers & exporters of Yellow Silk Holi Color. We are one of the leading manufacturers & exporters of White Silk Holi Color. 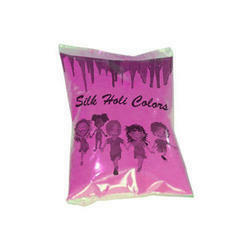 We are one of the leading manufacturers and exporters of Silk Gel Holi Color. We are one of the leading manufacturers & exporter of Neon Silk Holi Color.